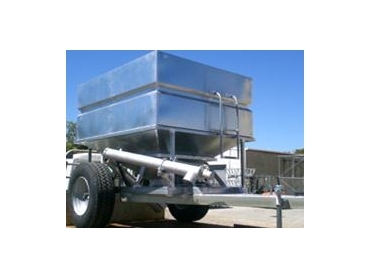 1.7 Cubic Metre Feed Out Bins are available from Paton Industries . THIS FOB has the capacity to carry 1.7 cubic metres of grain. *FOB 1.7 Cubic Metres is available with the option of either a soft canvas cover or metal lid. The FOB has the capacity to hold 4 cubic metres. The FOB can be towed only behind tractor with remotes and holds 6 cubic meters.